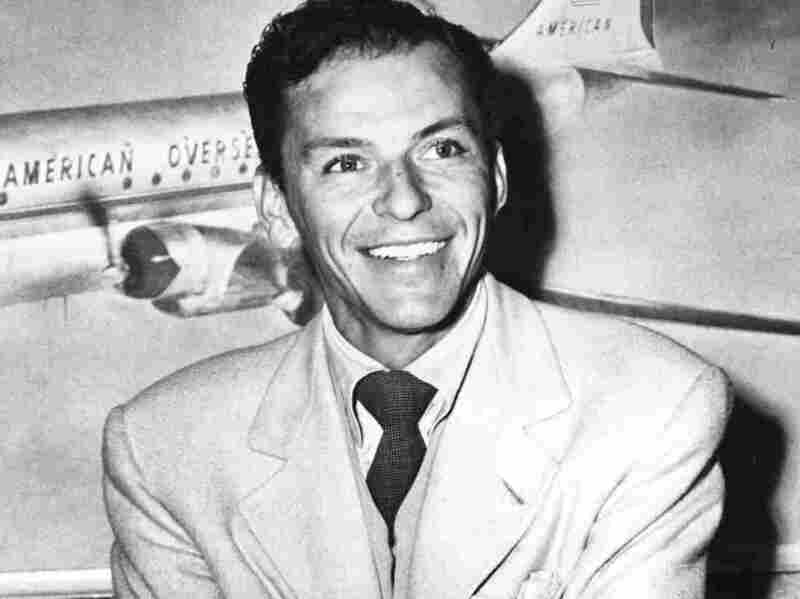 'One More' For Frank Sinatra, Who Took A Stand In Gary, Indiana Frank Sinatra was born 100 years ago. NPR's Scott Simon remembers a moment when the singer tried to stop a strike by white students in Gary, Indiana who didn't want their high school to be integrated. Frank Sinatra was known as a member of the "Rat Pack," along with Dean Martin, Sammy Davis Jr., Peter Lawford and Joey Bishop. Sinatra called himself a saloon singer. He ran with mobsters and could be a bully; he coveted other men's wives and could be brutish to his own, and other women and men. But today, I'd like to recall a moment when Frank Sinatra was truly magnificent. Not in Las Vegas or New York, New York, but Gary, Indiana. November, 1945. A lot of white students had walked out of Gary's Froebel High School when it opened up to black students. A citizens' group asked Frank Sinatra to come to their school because he was a teenage heartthrob, but also a performer with principles. Sinatra had always insisted on playing with integrated orchestras. He was the best, and wanted to play with the finest: Count Basie and Duke Ellington. Sinatra wanted to sing with Ella Fitzgerald. "When he described his own racial background and told how he was called a 'dirty little Guinea,' the students yelled in horror, 'No, no, no,' and listened quietly when he told them to stop using the words..."
Well, Sinatra used words we don't say on the air these days. "The eyes of the nation are watching Gary," Frank Sinatra told the students. "You have a wonderful war production record. Don't spoil it by pulling a strike. Go on back to school, kids." "When he sang 'The House I Live In,'" wrote The Defender, "a strange silence fell upon his normally noisy worshippers and for once they screamed only when the songs ended."